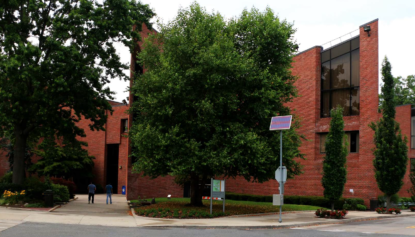 Our project is to fully renovate the pre-existing Ruth S. Harley University Center, located at Adelphi University in Garden City, NY. 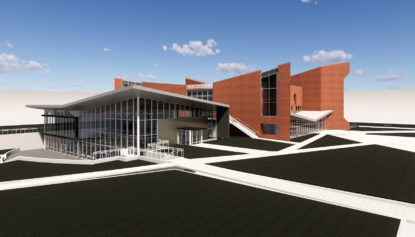 This University Center will be the cultural and social hub for Adelphi students. 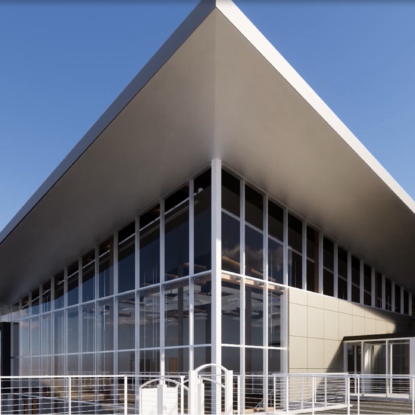 This four-story building currently stands at approximately 67,000 sqft and additions will be added onto the South, West, and East portions of the building. 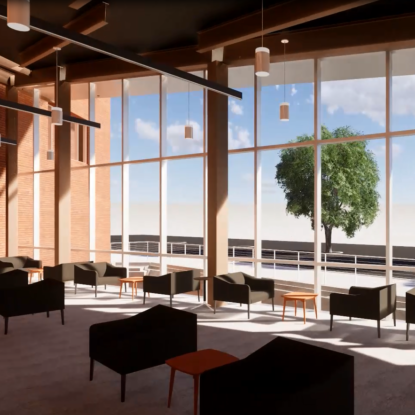 The building’s interior will be completely redone and will include a coffee shop, the bookstore, and offices. 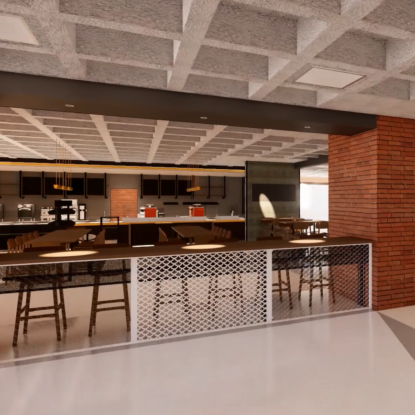 The space will feature an open concept design including a new dining area on the lower level and a new student lounge. 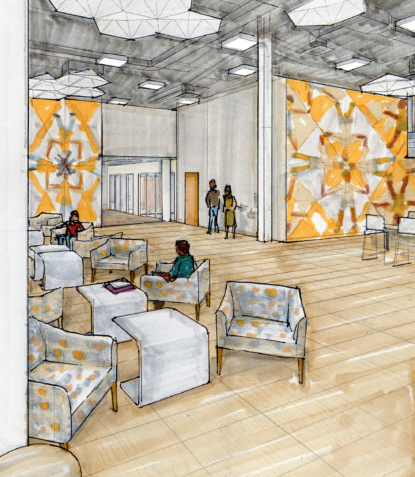 Throughout the space, new seating areas will be added to allow students to relax between classes. 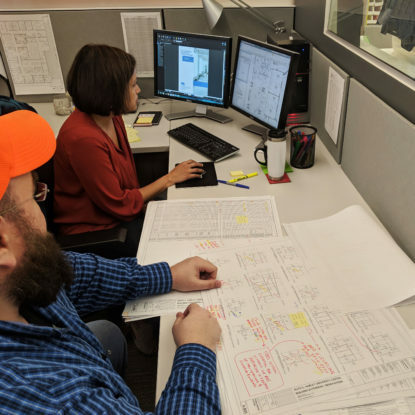 Once completed, the building will have double the height space on the main level and the expansion will add another 24,100 sqft, bringing the new space to a spacious 91,100 sqft. 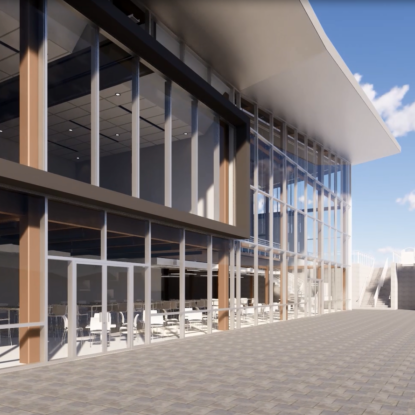 The future space features floor to ceiling windows which will allow natural light into the lounge pictured above.